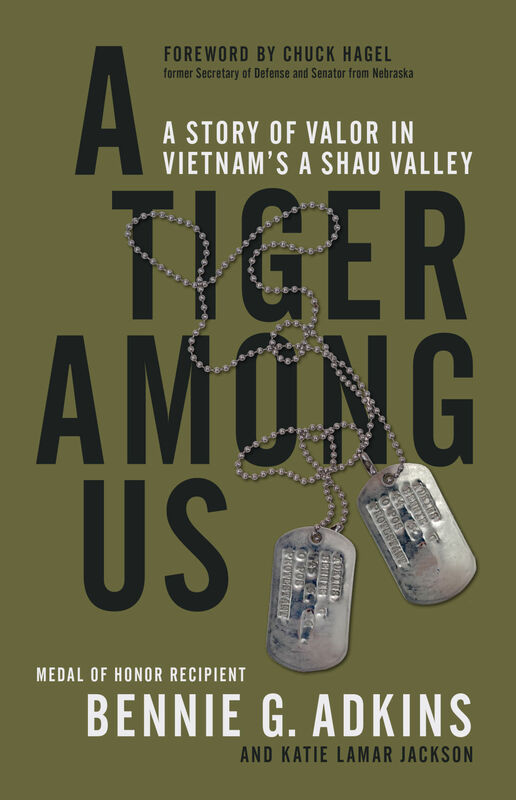 A TIGER AMONG US: A STORY OF VALOR IN VIETNAM’S A SHAU VALLEY by Bennie G. Adkins and Katie Lamar Jackson. Published by DaCapo Press, May 15, 2018. It was the message that Bennie Adkins really didn’t want to receive from the Marines. Evacuation has turned into evasion. We can’t get in to get you out. So, Sergeant Adkins would have to get his fellow soldiers from the Army’s 5th Special Forces Group out of Camp A Shau. The camp was located in the lush A Shau Valley of South Vietnam, about 30 miles southwest of Hue and 1.25 miles from the Laotian border. It was a strategically located route that would become part of the Ho Chi Minh trail. You wouldn’t even know it was there from the air. Rumor had it that the North Vietnamese Army would use elephants to part the canopy of trees just enough that trucks loaded with supplies could pass underneath, then release the trees to cover all evidence of the trail. The battle began March 9, 1966 when a 2,000 man division of the North Vietnamese Army attacked Camp A Shau, which was manned by 17 Green Berets and just over 400 South Vietnamese and Nung irregulars. Nungs are ethnic Chinese who live in Vietnam. What followed over the next two days was extremely brutal fighting, which was only made worse when elements of the South Vietnamese irregulars (not the Nungs) betrayed the other forces inside the camp and began firing on them as the NVA was attacking from the exterior of the camp. This only served to confirm Bennie’s suspicions that they had been betrayed. Many of the South Vietnamese refused to go out on patrol and, when NVA mortar rounds began dropping into the camp at the beginning of the battle, they struck structures within the walls of Camp A Shau with a phenomenal amount of accuracy. Ammunition and other supplies had been dropped in the days before the battle, and these supplies quickly ran low and could not be replenished due to ground fire. Air strikes were called in, and an Air Force pilot was awarded the Medal of Honor for being able to get a fellow pilot, who had been shot down, out of the battle zone. 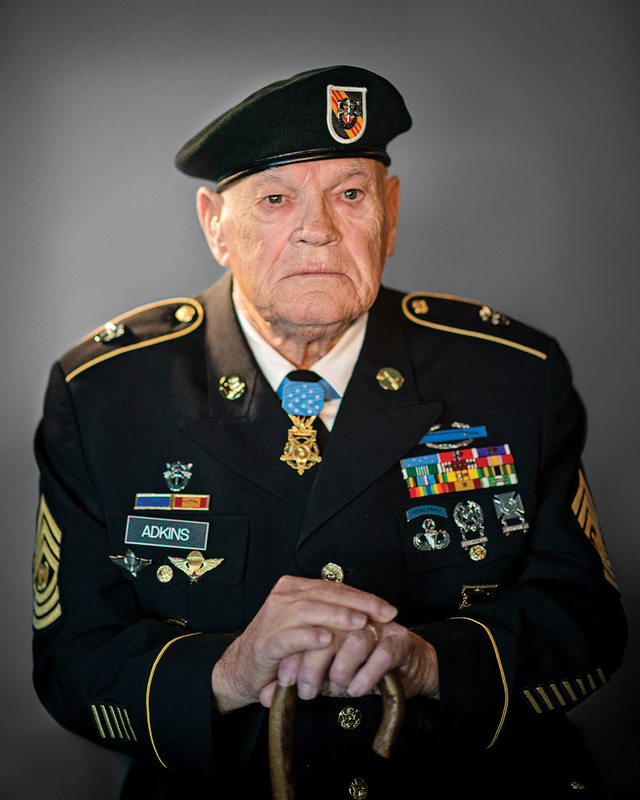 Bennie G. Adkins was awarded his Medal of Honor nearly a half-century later, thanks to the efforts of the men he served with during that short, bloody fight. As he and his fellow Green Berets evaded enemy soldiers they were dirty and wounded. Hiding in the jungle, they heard a guttural growl. A tiger. Thankfully, the NVA seemed to be more afraid of the big cat than they were interested in catching Bennie and his compatriots. And so, Bennie found himself on that stage, 48 years later, as Barack Obama draped the Medal of Honor around his neck, and related the story of Bennie’s heroism in the A Shau Valley. He’s come a long way from being an Oklahoma-born farm boy, and his modesty shows throughout the text of A TIGER AMONG US. The text of his Medal of Honor Citation is in the book. It can also be found online. It makes one wonder: Who was the real tiger? Read A TIGER AMONG US and get inspired.